I had to ask my old colleague and friend Michael Bernth for help today for a Photoshop tip. I wanted to round the corners of an image with the shape of a rounded rectangle. 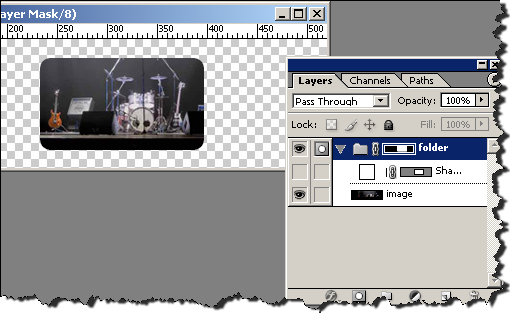 Start with an image in a separate layer. 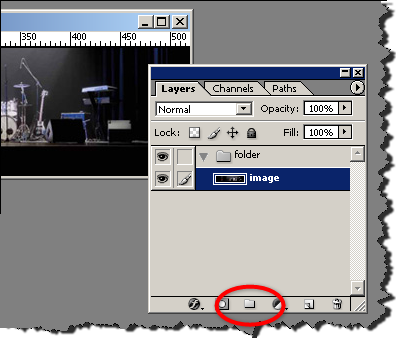 Create a new set (folder), and put the image into it. Create the shape that will form the borders of the image. I’m using the “rounded rectangles tool”. And voila! Now you can drop any image into the folder. You can move it around, copy, etc. This entry was posted by Jesper Rønn-Jensen	on Friday, July 27th, 2007 at 10:22 (GMT-1)	and is filed under Productivity. You can follow any responses to this entry through the RSS 2.0 feed. Both comments and pings are currently closed. Another tip i have been looking for in a long type: Create paragraph-style type that you can change with and height of so the text re-wraps. Just click and drag to mark the placeholder of your text. I used to just click, which makes the text so-called “point style” which means that if you change with/height of box, the type x and y-size changes. * (Photoshop) Select the Horizontal Type tool Horizontal Type tool or the Vertical Type tool Vertical Type tool . 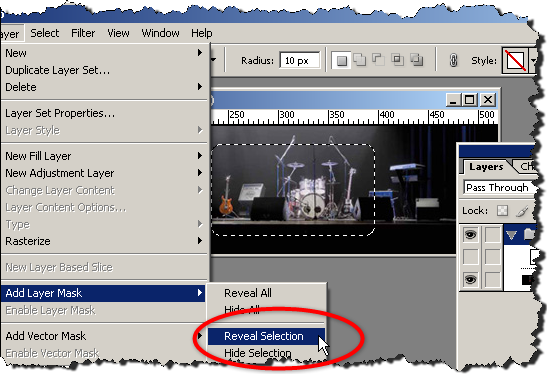 * (ImageReady) Select the Type tool Horizontal Type tool . 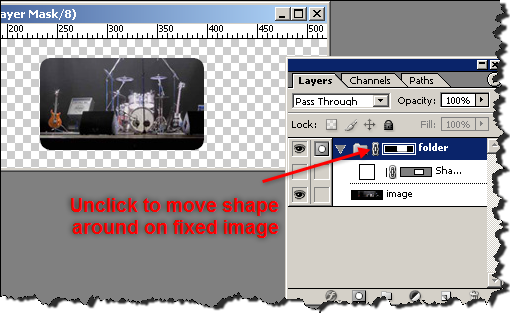 Note: To change between horizontal or vertical text in ImageReady, click the Change Text Orientation button in the tool options bar or choose Change Text Orientation from the Character palette menu. * Drag diagonally to define a bounding box for the type. * Hold down Alt (Windows) or Option (Mac OS) as you click or drag to display the Paragraph Text Size dialog box. Enter values for Width and Height, and click OK. Thanks for an easy to understand tutorial! Very nice and easy tutorial. I just tried it and it successfully worked without any trouble. Thank you so much. This is a great tutorial. Thank you. Do you know how to round the big image? I have a 193×60 jpg image, and I want to round it. Can you help me please?